HIP HOP ARTIST Nelly (40) was arrested yesterday morning on drug charges in Tennessee, after a state trooper smelled marijuana on his bus. A statement said that a Tennessee state trooper arrested Nelly – whose real name is Cornell Hayes – on felony drug charges in Putnam County at about 9.20am. Nelly is best known for tracks like Country Grammar, which shot him to fame in 2000. Trooper Michael Loftis stopped a coach bus for failure to display a US Department of Transportation and International Fuel Tax Association sticker. Loftis planned to inspect the bus, when he “noticed an odour of marijuana emitting from the vehicle”. A search of the bus led him to the sleeper area, where he found five “coloured crystal-type rocks” that tested positive for methamphetamine, as well as a small amount of marjiuana and drug paraphernalia. They also found around 100 small Ziploc bags “that are commonly associated with the sale of narcotics”, and numerous handguns including a gold-plated 50-calibre Desert Eagle pistol, a 45-calibre Tarus pistol, and a 500 magnum Smith and Wesson. There were six people on the bus, one of whom was charged after being found in possession of a handgun. 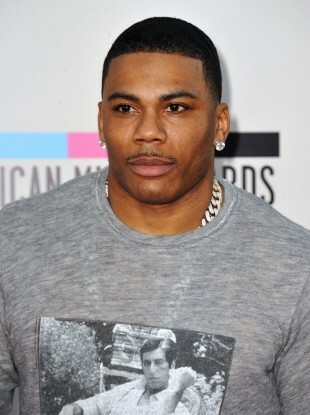 Nelly was charged with felony possession of drugs, simple possession of marijuana and possession of drug paraphernalia. Email “Rapper Nelly arrested on drugs charges after state trooper smells marijuana on his bus ”. Feedback on “Rapper Nelly arrested on drugs charges after state trooper smells marijuana on his bus ”.